Apple today announced that Steve Jobs will indeed host the keynote for the company's Worldwide Developers Conference (WWDC) next Monday in San Francisco. Aside from the expected focus on iOS 5 and Mac OS X Lion, Apple's announcement also confirms that Jobs will introduce the company's "iCloud" service. Apple CEO Steve Jobs and a team of Apple executives will kick off the company's annual Worldwide Developers Conference (WWDC) with a keynote address on Monday, June 6 at 10:00 a.m. At the keynote, Apple will unveil its next generation software - Lion, the eighth major release of Mac OS X; iOS 5, the next version of Apple’s advanced mobile operating system which powers the iPad, iPhone and iPod touch; and iCloud, Apple's upcoming cloud services offering. Apple last month was reported to have purchased the iCloud.com domain name, with additional reports claiming that Apple has indeed been referring to its streaming service by that name. Apple has been said to be close to wrapping up negotiations with major music labels and publishers to allow users to stream their owned music from Apple's cloud-based servers to any of a number of Internet-connected devices. I can't remember Apple ever telling you what was being introduced at an event in a press release. Let's hope iCloud is not only in the US! Can't wait for iOS5! A better Notification system is all I want! Sweet. Hope there is a video stream available. I really hope Apple do a live video broadcast of this! Where is the Apple I have come to know and love? The one that keeps me guessing and feeding off rumors and supposed leaks until 10AM Pacific Time on announcement day? So iCloud.com essentially confirmed as Apple's. What will the 'one more thing' be if all this is pre-announced? **** just got real ! Seems unusual that they'd give a list of things they plan to announce beforehand. They must be really worried about people not showing up over the rumors about no new iPhone. It sold out. I think they're more concerned about drumming up media coverageit's easy for the media to talk about a new device (a single point of focus)but new software (as good as it is) is decidedly less appealing to viewers/visitors. Considering that WWDC was sold out after about seven hours, I don't think they would have any problems filling seats if some developers don't turn up. And please note that WWDC stands for "World Wide Developers Conference". The "D" stands for "Developers" not for "Rumour whores". That's people making a living by writing software for MacOS X and iOS devices, not people desperately lapping up the latest rumours. That seems to confirm the postponement of this year's iPhone until the Autumn; with Lion, iOS 5 and iCloud to talk about, there's more than enough for a keynote. This is a Developers conference. iOS 5 is important for developers. iPhone 5 isn't. Woah! So no surprises this year! We already know what they will be doing! 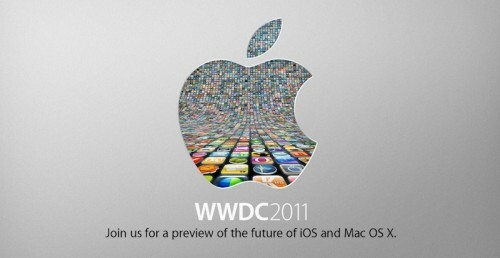 Well here is hoping that iOS 5 will come out soon and be awesome! And I hope iCloud will be good too, with no high monthly cost. Since you don't expect any surprises, any surprises will come totally surprising for you!